Obtain the Sealpath Infrastructure Integration Certification coming to the next training in Madrid, Spain, in April 3rd and 4th. Introduction to SealPath, Features, Hands-on-lab End User & Admin tools, Physical and Logical Views, SealPath Protection Server Deployment, Management and Configuration tools, Operation Guide and Mobile Server Deployment. In Sealpath, we are concerned about the training of our partners. Being well trained and updated on the last features warranty the good knowledge, support and advice for their customers. We would like to invite you to the next Pre-Sales certification training in Madrid, Spain, on April 3rd. After this official certification training, you would be able to know: How Sealpath is able to help your customer with the data breaches and privacy protection, GDPR and how to be able to control your documents wherever they are. Attendees to this pre-sales certification training will acquire the appropriate knowledge to successfully present SealPath solutions to end-customers, and perform demos and product PoC. It will cover both SealPath Enterprise On-Premise and SaaS solutions. Obtain the Sealpath Infrastructure Integration Certification coming to the next training in Lisbon, Portugal, in April 9th and 10th. In Sealpath, we are concerned about the training of our partners. Being well trained and updated on the last features warranty the good knowledge, support and advice for their customers. We would like to invite you to the next Pre-Sales certification training in Paris, France, on April 15th. After this official certification training, you would be able to know: How Sealpath is able to help your customer with the data breaches and privacy protection, GDPR and how to be able to control your documents wherever they are. In Sealpath, we are concerned about the training of our partners. Being well trained and updated on the last features warranty the good knowledge, support and advice for their customers. We would like to invite you to the next Pre-Sales certification training in Valencia, Spain, on April (Date to be confirmed). After this official certification training, you would be able to know: How Sealpath is able to help your customer with the data breaches and privacy protection, GDPR and how to be able to control your documents wherever they are. In Sealpath, we are concerned about the training of our partners. Being well trained and updated on the last features warranty the good knowledge, support and advice for their customers. We would like to invite you to the next Pre-Sales certification training in Madrid, Spain, on May 9th. After this official certification training, you would be able to know: How Sealpath is able to help your customer with the data breaches and privacy protection, GDPR and how to be able to control your documents wherever they are. Obtain the Sealpath Infrastructure Integration Certification coming to the next training in Madrid, Spain, on May 22nd and 23rd. Obtain the Sealpath Infrastructure Integration Certification coming to the next training in Paris, France, on May 27th and 28th. In Sealpath, we are concerned about the training of our partners. Being well trained and updated on the last features warranty the good knowledge, support and advice for their customers. We would like to invite you to the next Pre-Sales certification training in Paris, France, on May 31st. After this official certification training, you would be able to know: How Sealpath is able to help your customer with the data breaches and privacy protection, GDPR and how to be able to control your documents wherever they are. In Sealpath, we are concerned about the training of our partners. Being well trained and updated on the last features warranty the good knowledge, support and advice for their customers. We would like to invite you to the next Pre-Sales certification training in Madrid, Spain, on June 7th. After this official certification training, you would be able to know: How Sealpath is able to help your customer with the data breaches and privacy protection, GDPR and how to be able to control your documents wherever they are. 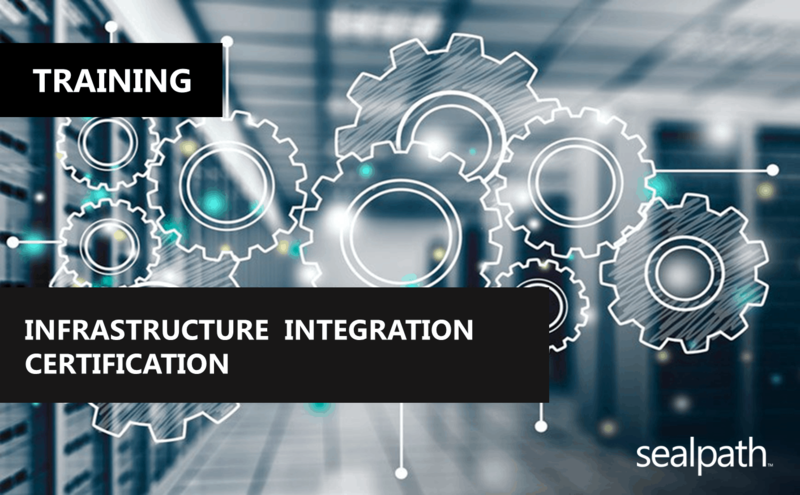 Obtain the Sealpath Infrastructure Integration Certification coming to the next training in Paris, France, on July 1st and 2nd. Obtain the Sealpath Infrastructure Integration Certification coming to the next training in Madrid, Spain, on July 10th and 11th. In Sealpath, we are concerned about the training of our partners. Being well trained and updated on the last features warranty the good knowledge, support and advice for their customers. We would like to invite you to the next Pre-Sales certification training in Madrid, Spain, on July 18th. After this official certification training, you would be able to know: How Sealpath is able to help your customer with the data breaches and privacy protection, GDPR and how to be able to control your documents wherever they are. In Sealpath, we are concerned about the training of our partners. Being well trained and updated on the last features warranty the good knowledge, support and advice for their customers. We would like to invite you to the next Pre-Sales certification training in Madrid, Spain, on September 12th. After this official certification training, you would be able to know: How Sealpath is able to help your customer with the data breaches and privacy protection, GDPR and how to be able to control your documents wherever they are. Obtain the Sealpath Infrastructure Integration Certification coming to the next training in Madrid, Spain, on September 18th and 19th. Obtain the Sealpath Infrastructure Integration Certification coming to the next training in Paris, France, on September 23rd and 24th. In Sealpath, we are concerned about the training of our partners. Being well trained and updated on the last features warranty the good knowledge, support and advice for their customers. We would like to invite you to the next Pre-Sales certification training in Paris, France, on October 11th. After this official certification training, you would be able to know: How Sealpath is able to help your customer with the data breaches and privacy protection, GDPR and how to be able to control your documents wherever they are. In Sealpath, we are concerned about the training of our partners. Being well trained and updated on the last features warranty the good knowledge, support and advice for their customers. We would like to invite you to the next Pre-Sales certification training in Madrid, Spain, on October 17th. After this official certification training, you would be able to know: How Sealpath is able to help your customer with the data breaches and privacy protection, GDPR and how to be able to control your documents wherever they are. Obtain the Sealpath Infrastructure Integration Certification coming to the next training in Paris, France, on November 4th and 5th. In Sealpath, we are concerned about the training of our partners. Being well trained and updated on the last features warranty the good knowledge, support and advice for their customers. We would like to invite you to the next Pre-Sales certification training in Madrid, Spain, on November 14th. After this official certification training, you would be able to know: How Sealpath is able to help your customer with the data breaches and privacy protection, GDPR and how to be able to control your documents wherever they are. Obtain the Sealpath Infrastructure Integration Certification coming to the next training in Madrid, Spain, on November 19th and 20th. In Sealpath, we are concerned about the training of our partners. Being well trained and updated on the last features warranty the good knowledge, support and advice for their customers. We would like to invite you to the next Pre-Sales certification training in Madrid, Spain, on December 11th. After this official certification training, you would be able to know: How Sealpath is able to help your customer with the data breaches and privacy protection, GDPR and how to be able to control your documents wherever they are. In Sealpath, we are concerned about the training of our partners. Being well trained and updated on the last features warranty the good knowledge, support and advice for their customers. We would like to invite you to the next Pre-Sales certification training in Madrid, Spain, on March 7th. 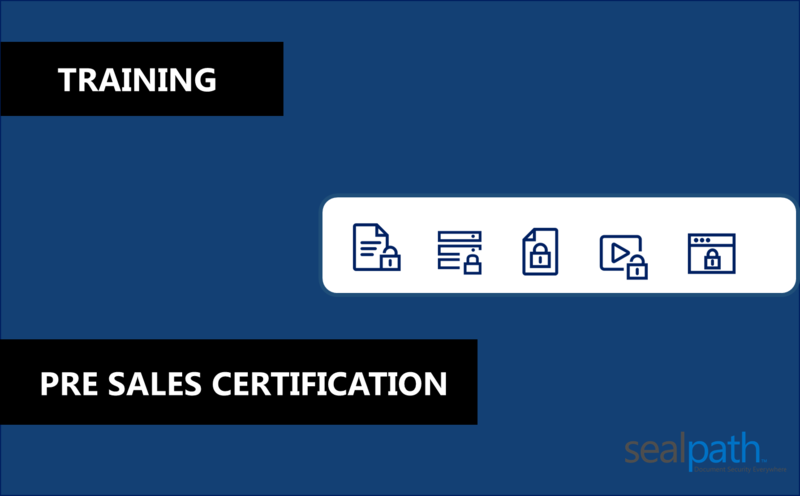 After this official certification training, you would be able to know: How Sealpath is able to help your customer with the data breaches and privacy protection, GDPR and how to be able to control your documents wherever they are. In Sealpath, we are concerned about the training of our partners. Being well trained and updated on the last features warranty the good knowledge, support and advice for their customers. We would like to invite you to the next Pre-Sales certification training in Milan, Italy, on February 26th. After this official certification training, you would be able to know: How Sealpath is able to help your customer with the data breaches and privacy protection, GDPR and how to be able to control your documents wherever they are. In Sealpath, we are concerned about the training of our partners. Being well trained and updated on the last features warranty the good knowledge, support and advice for their customers. We would like to invite you to the next Pre-Sales certification training in Madrid, Spain, on February 14th (Date to be confirmed). After this official certification training, you would be able to know: How Sealpath is able to help your customer with the data breaches and privacy protection, GDPR and how to be able to control your documents wherever they are. In Sealpath, we are concerned about the training of our partners. Being well trained and updated on the last features warranty the good knowledge, support and advice for their customers. We would like to invite you to the next Pre-Sales certification training in Milan, Italy, on January 30th. After this official certification training, you would be able to know: How Sealpath is able to help your customer with the data breaches and privacy protection, GDPR and how to be able to control your documents wherever they are. Obtain the Sealpath Infrastructure Integration Certification coming to the next training in Milan, Italy, on April 2nd and 3rd. In Sealpath, we are concerned about the training of our partners. Being well trained and updated on the last features warranty the good knowledge, support and advice for their customers. We would like to invite you to the next Pre-Sales certification training in Madrid, Spain, in January 17th. After this official certification training, you would be able to know: How Sealpath is able to help your customer with the data breaches and privacy protection, GDPR and how to be able to control your documents wherever they are. Obtain the Sealpath Infrastructure Integration Certification coming to the next training in Madrid, Spain, in January 23rd and 24th. Obtain the Sealpath Infrastructure Integration Certification coming to the next training in Warsaw, Poland, in January 16th and 17th. In Sealpath, we are concerned about the training of our partners. Being well trained and updated on the last features warranty the good knowledge, support and advice for their customers. We would like to invite you to the next Pre-Sales certification training in Warsaw, Poland, on January 15th. After this official certification training, you would be able to know: How Sealpath is able to help your customer with the data breaches and privacy protection, GDPR and how to be able to control your documents wherever they are. In Sealpath, we are concerned about the training of our partners. Being well trained and updated on the last features warranty the good knowledge, support and advice for their customers. We would like to invite you to the next Sales training in Paris, France, on December 6th. Attendees to this sales training will acquire the appropriate knowledge to successfully present SealPath solutions to end-customers, and perform demos and product PoC. 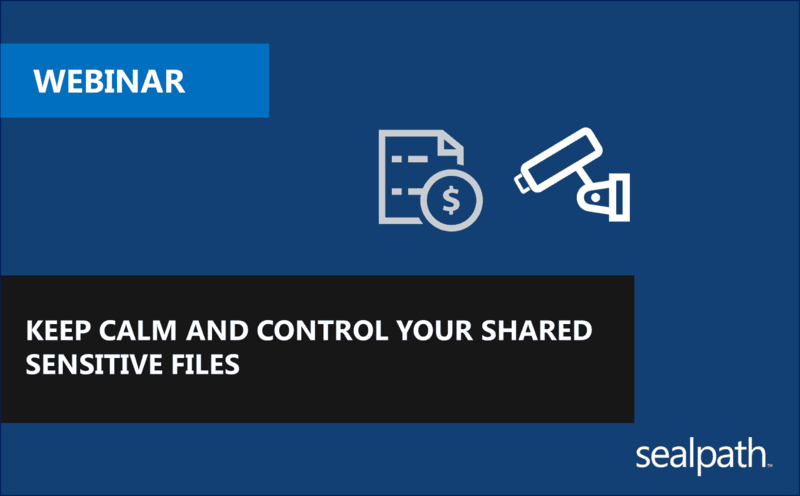 4) Shadow IT created by users leveraging Dropbox or OneDrive. Perimeter based solutions simply don’t cut it anymore! Gartner states “Information Right Management” IRM solutions will become the only durable, granular, file-level mobile data protection” offering in the market that can truly provide the final defense to the “last mile” problem. Encryption at rest, in motion, and “in use” (while un-encrypted). The solution to the “perfect storm” is Sealpath IRM, and when combined with other data-centric security offerings as DLP, you have added the security level that your organization needed. Agenda: 1. Introduction to SealPath. 2. How does SealPath work? 3. Demo 4. DLP Integration 5. GDPR 6. How are we able to help you ? Obtain the Sealpath Infrastructure Integration Certification coming to the next training in Madrid, Spain, in November 14th and 15th. (16, optional exam). 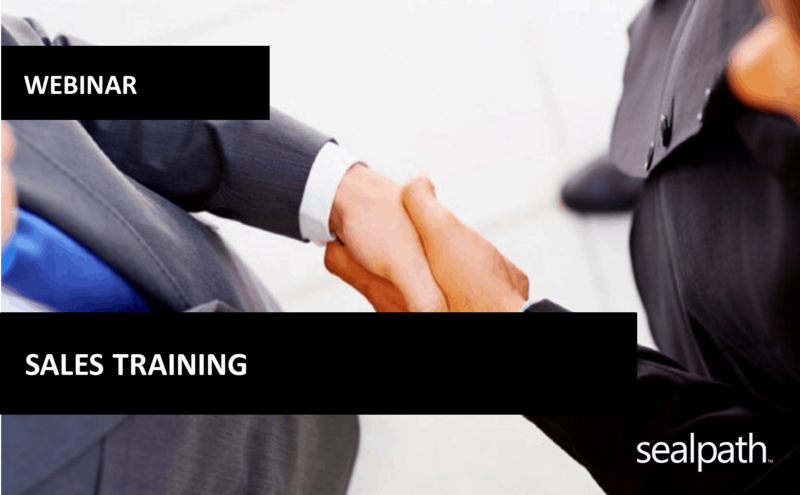 In Sealpath, we are concerned about the training of our partners. Being well trained and updated on the last features warranty the good knowledge, support and advice for their customers. We would like to invite you to the next Pre-Sales certification training in Madrid, Spain, on November 7th. After this official certification training, you would be able to know: How Sealpath is able to help your customer with the data breaches and privacy protection, GDPR and how to be able to control your documents wherever they are. Obtain the Sealpath Infrastructure Integration Certification coming to the next training in Portugal, on October 30 and 31.